Depending on who you ask, President Jacob Zuma has been credited for bringing the ANC to its knees. The liberation movement is at an all-time low, with some practically begging for an end to the Zuma chapter. Yet, on the eve of the ANC national conference, he told delegates he does not believe he made any mistakes. Zuma will step down as president of the ANC in just a few days. News24 decided to reflect on his ten years in charge of the liberation movement through his own words. In 2007 at the ANC’s watershed 52nd congress held in Polokwane, Zuma, who had just defeated former President Thabo Mbeki to become the ANC’s 12th president, vowed to work with Mbeki whom he referred to as “a comrade, a friend and a brother”. But just 8 months later he booted the former president out of office. Zuma was seen as the person who would unite the alliance, who felt pushed aside under Mbeki, referring to him as the “96 class project”. Zuma ascended to the presidency with SACP general secretary, Blade Nzimande, Cosatu secretary, Zwelinzima Vavi and Youth League leader Julius Malema campaigning for him. They were part of the “Friends of Jacob Zuma”, dismissing the corruption allegations as a ploy by Mbeki to block him from becoming president. Alliance relations are at an all-time low. Zuma became the first ANC president to be banned by both Cosatu and SACP, who called for him to step down or the ANC to recall him. Relations came to a head when he was booed at the Cosatu Worker’s Day rally in Bloemfontein. It had become clear that Cosatu and SACP were no longer part of his “kitchen cabinet” as he did not bother consulting them on changes to his executive. The faction and slate culture intensified ahead of Polokwane and despite promises to work towards unity it crystallised at the Mangaung 2012 electoral conference. The ANC is going into the Nasrec conference divided with threats of a possible split. He faced two motions of no confidence in the National Executive Committee for the Constitutional Court ruling that he failed to uphold and defend the Constitution when he refused to pay back tax payers’ money used to upgrade his home and for reshuffling his Cabinet without consulting the ANC top 6 and alliance partners. He also came under fire over allegations of state capture by his friends, the Guptas. In Polokwane Zuma confirmed that the conference had made an important resolution on land, calling for a 30% redistribution of land by 2014. 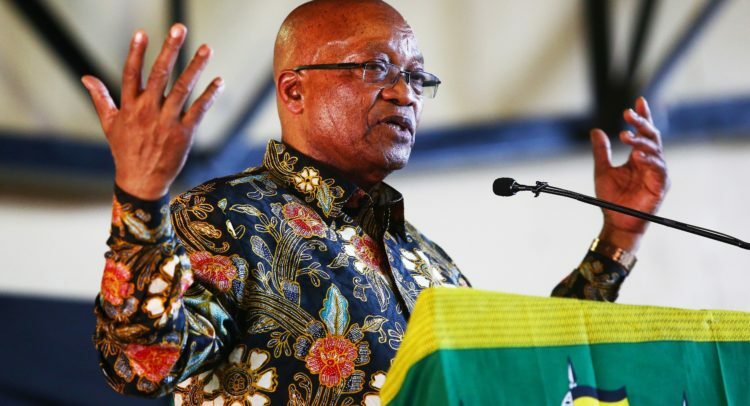 At the national conference in Mangaung in 2012 Zuma blamed the willing buyer-willing seller model for the slow progress in land reform, saying it distorted the land market as it inflated land prices earmarked for restitution. He appointed a surveyor general to help fast track the process. Ten years later Zuma’s government has failed to fast track the land redistribution programme. However, a land audit was done that found that 79% of the country’s land may still be in private hands, however it did not reveal if the owners are black or white. The deadline for finalising land claims has also been shifted four times since 2002. Zuma is now pushing for the ANC to adopt as policy land expropriation without compensation. “[In order] to achieve all the goals mentioned in the State of the Nation Address government is busy amending all the laws and policies to enable faster land reform, including land expropriation without compensation as provided for in the constitution,” he has said. Zuma in 2007 committed the party to fighting HIV/Aids, following on his predecessor Mbeki who had to be forced by the courts to give those living with HIV anti-retrovirals. Zuma’s government has saved lives by dramatically increasing the number of people on HIV treatment and decreasing mother to child HIV transmissions. “South Africa has the largest HIV treatment programme in the world, with more than 3.8 million people in the public sector on treatment. Due to our very successful prevention of mother-to-child transmission programme, the figure has dramatically dropped to below 6000,” Zuma said in Parliament. “One of the challenges that has been affecting economic growth and development as well as social stability, is crime. Our strategy and tactics addresses organized crime as a threat to our democratic order,” Zuma said. Privileged South Africans have invested in private security companies to feel safer. The 2016 crime stats painted a grim picture with overall crime down but violent murder up by 1.8%. Sexual offences was down by 4.3% but rights group claim that this is not a true reflection as many women still do not report the crimes.